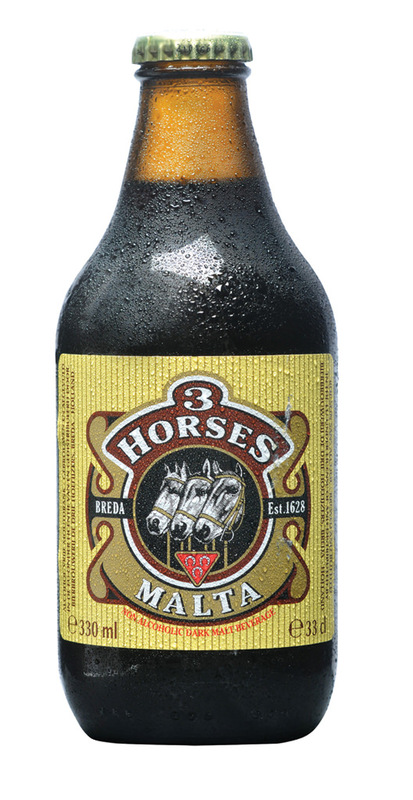 3 Horses Malt is the name of our traditionally produced malt beverage with no alcohol made of the purest waters and finest barley. This classic favourite is a perfect balance of bitter and sweet, guaranteed to quench your thirst on every occasion. It is the brewing method what sets 3 Horses Malt apart from the rest and what makes it so distinguishable and superior in taste. All the ingredients are carefully selected to ensure the finest quality and a first-class product. Apart from energy, barley malt provides nutrients, proteins, vitamins and minerals, and for this reason it is daily chosen by sportspeople, children and breastfeeding mothers. 3 Horses Malt, refreshing and nutritional!